Cash-back credit cards are, of course, great for the rewards that they offer, but when deciding which card is best for you it's also important to consider all other features associated with the card, such as purchase and balance transfer rates, annual fees and the extra perks. The great thing about the American Express Cash Magnet® Card is that it offers an intro 0% APR on purchases and balance transfers for 15 months (then, 15.24% - 26.24% Variable), has no annual fee and, on top of that, comes with decent rewards. (See Rates and Fees.) Specifically, earn a $150 statement credit after you spend $1,000 or more on your new card in the first three months of card membership and rake in an unlimited 1.5% cash back on all purchases made, with no spending thresholds or categories to worry about. Whether it's a big renovation project, a new washer and dryer, or maybe something else exciting like a backyard pool or a home entertainment system installation, if you can't pay your bill all at once or need to finance a major purchase, the American Express Cash Magnet® Card will give you some breathing room to pay the balance off over time with no interest to worry about for an introductory 15 months (then, 15.24% - 26.24% Variable). It's also perfect for transferring balances from other high-interest credit cards, all while putting money back in your pocket to help you pay off those final bills, or for the fun things like new pool toys or Blue-ray Discs. Earn a $150 statement credit as a welcome bonus after you spend $1,000 with the card within three months of account opening. Earn a $150 statement credit as a welcome offer after spending $1,000 in the first three months. Enjoy the convenience of a flat-rate card that doesn't require you to keep up with categories or spending caps in order to earn your rewards. Take advantage of an intro 0 percent APR on purchases and balance transfers for the first 15 months (then, 15.24% - 26.24% Variable). If you're willing to employ a little strategy when it comes to earning credit card rewards, you'll likely earn more cash back with a rotating categories or tiered-rate credit card option. Here are a few to consider. 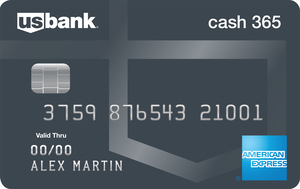 While it's true that you could potentially earn more cash back per $1 spent with some other credit cards, we like that the American Express Cash Magnet® Card is a flat-rate credit card, meaning there are no categories or spending limits to think about when it comes to earning rewards. Simply every $1 spent on the card earns an unlimited 1.5% cash back, which isn't a bad earning rate especially considering the fact that many cards offering higher percentages on certain categories offer just 1% on everything that isn't in one of the bonus or higher tier categories. Additionally, your cash back is recorded as Reward Dollars that can be redeemed as statement credit, which means it can directly help you keep your card balance down and avoid interest payments on a higher balance. You can also redeem your rewards for merchandise and gift cards. Thanks to its easy-to-grasp rewards structure, plus a new card member offer that's better than many similar no-annual-fee cash-back credit card offers out there, the American Express Cash Magnet® Card is a solid option for anyone looking to hold a cash back credit card in their wallet, especially those looking to finance a large purchase over time. If you're willing to keep track of tiered rewards or rotating bonus categories, and depending on your spending habits, it's possible that you could earn more cash back with a card that isn't a flat-rate credit card. Chase Freedom®, for example, offers users 5% cash back on different purchases each quarter, such as at gas stations, grocery stores, and restaurants, up to $1,500 spent in those categories that quarter. If you already spend a lot of money in these categories, you might want to think twice about if a flat-rate credit card is the best option for you. However, these categories rotate, so you'll have to plan your spending accordingly, and then another thing to consider is that purchases made outside active categories will usually only earn users 1% cash back. If you're not the type of credit card user who likes to think about where and when you should use your credit card, or if you just want a consistent reward no matter the purchase, you're likely better off sticking with a flat-rate card, such as the American Express Cash Magnet® Card. Or, if you're willing to use two different cards, combine the American Express Cash Magnet® Card with a rotating categories card so that you can earn 1.5% cash back on all your purchases outside of the other card's bonus categories. Another important thing to note is that the American Express Cash Magnet® Card charges a 2.7% foreign transaction fee for every purchase made outside of the United States, which means this card might not be an ideal choice for frequent international travelers. What makes the Bank of America® Cash Rewards credit card unique is that cardholders have the opportunity to choose a category from among a list of six in which they will earn the highest percentage of cash back. Once each calendar month, cardholders can choose whether gas, online shopping, dining, travel, drug stores, or home improvement/furnishings purchases will earn them the top tier of cash back: 3% with this card. In addition, cardholders earn 2% cash back on grocery store and wholesale club purchases (up to $2,500 spent quarterly in combined choice category/grocery store/wholesale club purchases) and 1% back on all other purchases. 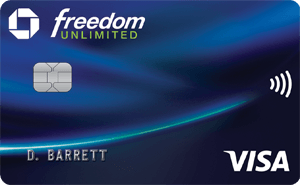 This opportunity to choose your category makes this card a bit of a hybrid – it isn't a rotating categories card like Chase Freedom® card mentioned above, but it does offer a savvy credit card user the opportunity to earn top cash back in a variety of categories. In addition to the unique cash-back rewards structure, this card offers a welcome offer bonus opportunity of $200 online cash rewards after you spend $1,000 on your new card within the first 90 days. While this can certainly be a good option for credit card users who are willing to plan their purchases around those optional categories, it's important to be aware that the 3% earning rate only applies to the first $2,500 spent quarterly in combined choice category/grocery store/wholesale club purchases. After that, the rewards rate drops to 1%. Furthermore, you can only update your category once each calendar month, so you'll want to do your best to think about your anticipated purchases for the month before making that decision. Between these two, the best card for you will really just depend on what type of credit card user you are and what you'll be using your credit card for. If you'd rather not have to think about when and where you use your card, something like the American Express Cash Magnet® Card might be the better way to go. A no-annual-fee credit card that earns new cardholders 3% cash back on up to $20,000 spent in the first year, then an unlimited ongoing 1.5% cash back and also has an introductory 15-month 0% purchase and balance transfer APR offer (before it goes to 17.24% - 25.99% Variable), Chase Freedom Unlimited® is another worthwhile card option for those looking for a good flat-rate credit card. The biggest thing that varies between these two cards is the new cardholder welcome offer. With the American Express Cash Magnet® Card, new users have the opportunity to earn a $150 statement credit after spending $1,000 in the first three months, versus Chase's offer of up to $600 if you max out the 3% cash back on $20,000 spent in the first year. If you're more of a casual spender, Chase Freedom Unlimited®'s lower threshold of $500 might be a more appealing, and realistic, option for you. You'd have to spend $5,000 with the Chase card at 3% back to earn $150. The Citi® Double Cash Card - 18 month BT offer (ongoing APR is 15.74% - 25.74%* Variable) is unique in that it earns users cash back twice – 1% on all purchases when you make them, plus an additional 1% as you pay for those purchases in full or over time (Citi is a CardRatings advertiser). Similar to the American Express Cash Magnet® Card, this Citi card has no annual fee and users can earn unlimited cash back with no categories or spending thresholds to worry about. Two major things that vary between these two cards, though, are the bonus rewards – the Citi® Double Cash Card - 18 month BT offer offers none – and the intro APR offer – this Citi card does not include a 0% APR on purchases, but does offer an intro 0% APR on balance transfers for 18 months, three months longer than the American Express Cash Magnet® Card. With the Citi® Double Cash Card - 18 month BT offer, users can take advantage of a 0% APR on balance transfers for 18 months (then, 15.74% - 25.74%* Variable), which makes this card a great choice for anyone looking for a little extra time to pay off a high balance on another card. Thanks to an easy-to-grasp rewards structure and a nice new cardholder offer, the American Express Cash Magnet® Card is a solid option for anyone looking to make a large purchase or to pay off a balance with an introductory no interest to worry about for 15 months (then, 15.24% - 26.24% Variable), all while earning some extra money in the process. And, perhaps most importantly, you can do all of this on a no-annual-fee card. To see the rates and fees for the American Express Cash Magnet® Card, please visit the following link: See Rates and Fees.